My name is Trudi and I run ‘Wild about Walkies’. 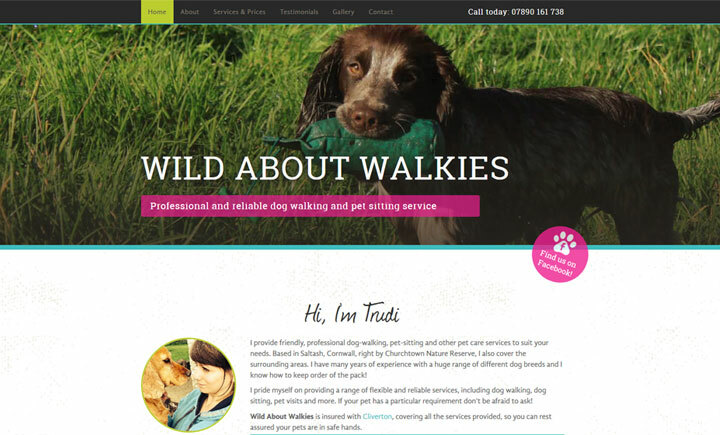 I provide friendly and professional dog-walking and pet-sitting services for dog owners in Saltash and surrounding areas. With many years of experience with a huge range of different dog breeds, I know how to keep dogs in order! Dog walks are 40-60 mins long and I take dogs to lovely places, such as Churchtown Nature Reserve, Latchbrook Leat and Shillingham woods. Your dog will be walked with other dogs so they get to socialise. I usually walk around 6 dogs at one time. I also provide a dog boarding service within a homely environment. When staying with me your dogs will have 2 walks a day and lots of attention to ensure they are happy on their own little holiday!